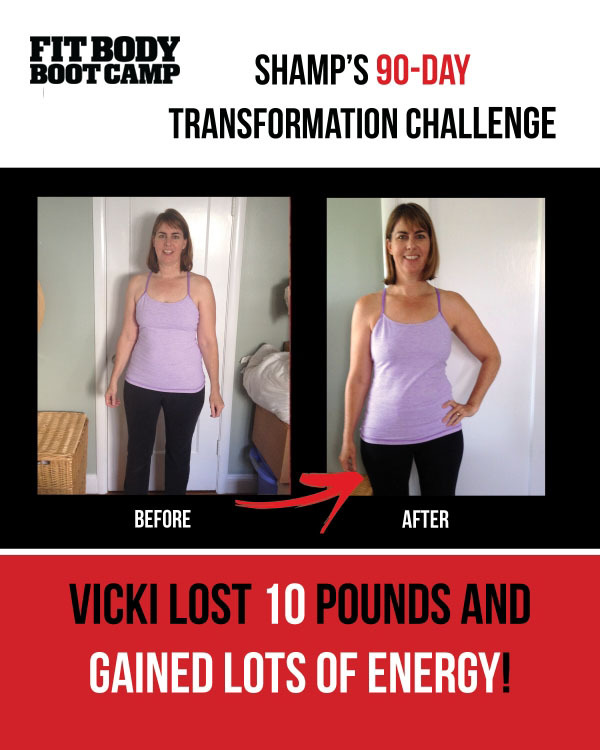 I joined the 90 Day Transformation Challenge as motivation to lose weight in time for our Spring family vacation to Kauai. I’d gained about eight pounds last year when we sold our home and purchased a new one in this competitive housing market. In the meantime I’d lost strength and flexibility since I almost completely stopped exercising! So I definitely wanted to be able to go on vacation feeling more confident about my appearance while more fit, ready to swim and play! What helped me most in terms of the challenge itself was its “I am a priority” theme. My biggest impediment can be life getting in the way of my personal goals such as work getting busy, kids activities, colds/flus. So the theme really hit home in terms of inspiring me to persevere and return to my fitness routine each time things settled down. Plus, I was brand new to boot camp and enjoyed the new fitness regime while being inspired by others’ motivation. During the challenge, I focused on both diet and exercise but tried to make it manageable and sustainable. I work full time and have two kids, so I must have enough food and sleep to keep up my energy while not feeling too deprived. So I made basic changes: restarted exercise, ate healthier, cut extra carbs and portions. Result? I had a blast on our Spring break about 10 pounds lighter, while much more fit and ready to jump around in the ocean with the kids. And while I was worried the trip might cause me to gain weight before the end of the challenge, it really didn’t. I found myself mindful of eating light at some meals to make up for other meals (while still fitting in some Mai Tais!). Plus, to my surprise, my appetite isn’t as big as it used to be anyhow. Looking forward to the next challenge!